Mayon Volcano status raised to Alert Level 3 (Jan. 14, 2018) - Balita Boss! Philippine Institute of Volcanology and Seismology (PHIVOLCS) has raised the status from Alert Level 2 to Alert Level 3 for Mayon Volcano due to due to phreatic eruptions and rockfall events. Below is the bulletin released by PHIVOLCS on January 14, 2018 at 8:00 p.m. This serves as a notice for the raising of Mayon Volcano's status from Alert Level 2 (increasing unrest) to Alert Level 3 (increased tendency towards eruption). For the past 24 hours, Mayon Volcano in Albay Province has noticeably increased its unrest. After three (3) phreatic (steam-driven) eruptions and 158 rockfall events between 4:21 PM 13 January and 7:25 PM 14 January, Mayon's summit crater is now exhibiting bright crater glow that signifies the growth of a new lava dome and beginnings of lava flow towards the southern slopes. In view thereof, PHIVOLCS-DOST is now raising the alert status of Mayon Volcano from Alert Level 2 to Alert Level 3. This means that Mayon is exhibiting relatively high unrest and that magma is at the crater and that hazardous eruption is possible within weeks or even days. It is therefore recommended that the 6-km radius Permanent Danger Zone (PDZ) and a 7-km Extended Danger Zone (EDZ) on the southern flank be enforced due to the danger of rockfalls, landslides and sudden explosions or dome collapse that may generate hazardous volcanic flows. Increased vigilance against pyroclastic density currents, lahars and sediment-laden streamflows along channels draining the edifice is also advised. Civil aviation authorities must also advise pilots to avoid flying close to the volcano's summit as ash from any sudden eruption can be hazardous to aircraft. Based on the seasonal wind pattern, ash fall events may most likely occur on the southwest side of the volcano. 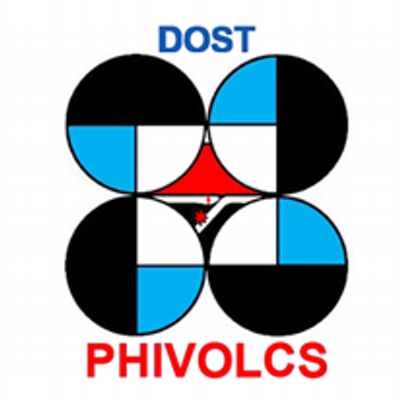 DOST-PHIVOLCS maintains close monitoring of Mayon Volcano and any new development will be communicated to all concerned stakeholders. The Albay Public Safety Office and the Office of Civil Defense (OCD) in Bicol had issued the evacuation order. According to reports, thousands have already evacuated from different towns in Albay.